You know the story. Kamelion existed before Doctor Who, as an impressive machine that producer, John Nathan-Turner saw and wanted integrated into the show (apparently after the assurance that it could walk by itself). 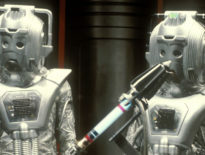 This silvery shape-changer became a companion in The King’s Demons, but just didn’t work – he had to be propped up against a wall or the TARDIS console, and so was cut from two further serials, The Five Doctors and The Awakening. He’d meet his maker again in Planet of Fire. And since then, he’s somewhat been forgotten. At the very least, he’s an embarrassing footnote in Doctor Who history. But is Kamelion… no good? Sure, on screen, his potential was never properly fulfilled; since then, you’d figure he would crop up again in numerous spin-off material. Frankly, if the doomed Sara Kingdom can be lavished with numerous Big Finish titles, you’d think Kamelion would be afforded a trilogy and a boxset in which he’s played by Robert Downey Jr (no?). Alas, he’s only played a significant role in one episode of one audio story. The crux of the matter is, Kamelion can have a long life away from the screen. Even on TV, you’d think some inventive casting could result in his inclusion; transitions between the robot and an actor would have required some special effects, which was another reason why he wasn’t in any other storylines, but smart direction could surely negate some of this. Here, I’m very much behind Matt Michael: on Twitter, he said: “Baffled why Big Finish haven’t made use of Kamelion: they could cast all sorts of cool actors for a one off stint as the companion as Kamelion tests out different bodies, or downloads the TARDIS databank on old occupants. Eg Davison and Lalla.” Sounds perfect, doesn’t it? It would mean we see new facets of companions – get Maureen O’Brien playing Kamelion playing Vicki! Heck, we might even get glimpses into the future, if Kamelion changed into, say, River Song. Or what about an old enemy? 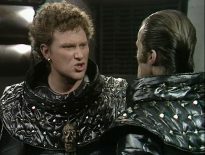 Geoffrey Beevers’ Master as the Doctor’s companion, anyone? If you ever wanted to hear Hayley Atwell in the TARDIS, this could be your chance…! Except Kamelion could prove as much of a “Get Out of Jail Free” card as K9 or the sonic screwdriver. Then again, the audio company has some amazing writers on its books, and I’m convinced Kamelion would only make narratives tighter still. Sadly, Kamelion’s original voice, Gerald Flood died of a heart attack in 1989, so something creative would need to be done. And Big Finish is nothing if not creative. Impersonators have been employed before – and for characters a lot more beloved than Kamelion, it has to be said – so that shouldn’t be a problem here. Indeed, Sunny Ormonde played Kamelion in the character’s sole Big Finish, Circular Time. This 2007 release saw four episodes embrace the seasons, and Kamelion appeared in the final part, Winter, written by Paul Cornell. The story was set during the Fifth Doctor’s regeneration in The Caves of Androzani, and, while described by Cornell as “a weird fanservice thing”, it shows off the ingenuity of the scribes in this fandom. A seriously talented bunch (which further includes James Goss, John Dorney, Jacqueline Rayner, Nick Briggs, Jonathan Morris, Marc Platt, A.K. Benedict, and plenty more besides) like that could surely rustle up more great tales for the Fifth Doctor’s often-forgotten companion. Mind you, perhaps Peter Davison doesn’t want Kamelion back. Understandably, he wasn’t exactly upset to witness Kamelion’s demise in Planet of Fire. Still, wouldn’t it be nice to have the potential John Nathan-Turner saw all those years ago actually realised? C’mon, Big Finish. You’ve done it with Mel Bush. 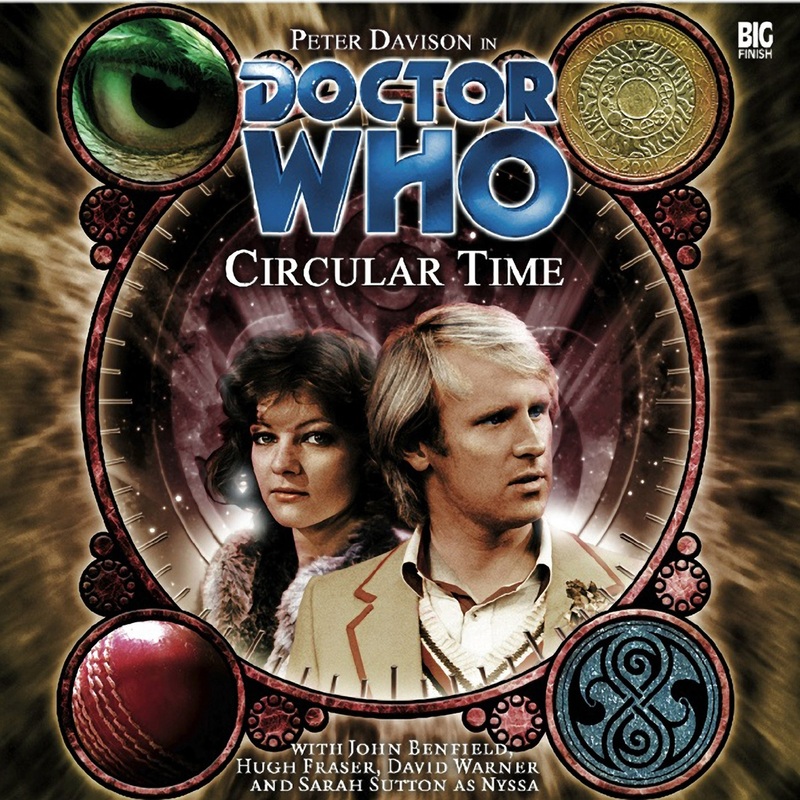 You’ve done it with Adric. Work your magic on Kamelion too!